The Halvangis Family at Evergreen Cemetery in Detroit, MI. I am halfway through the #52Ancestors genealogy blogging challenge for 2018 and I am taking a break for this week. Earlier this week I took a trip to Evergreen Cemetery in Detroit, MI. Several of my Halvangis ancestors are buried there. I've written about some of them previously. Evergreen Cemetery office (Detroit, MI). This week I wanted to share some videos from my recent visit and document the gravesites of my family. 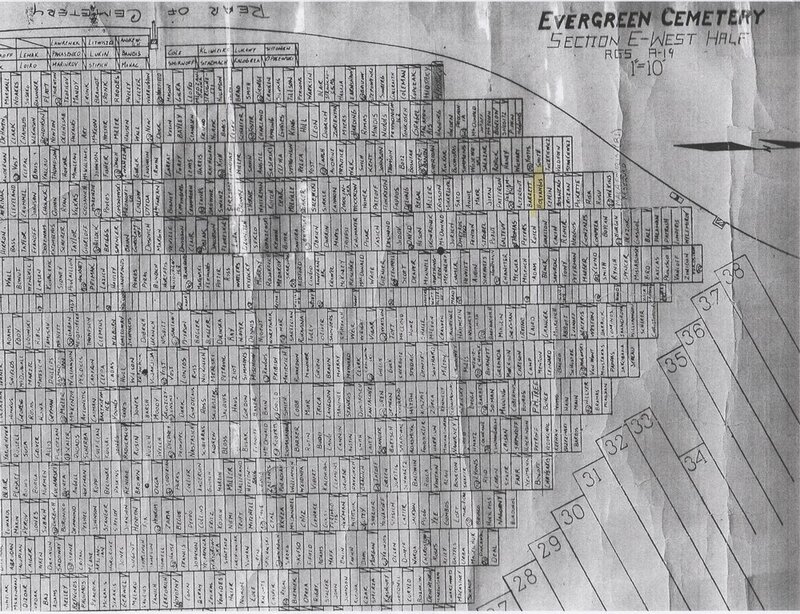 Here is a detailed map of of section F. Vasilios is buried in section F, range 9, grave 12. 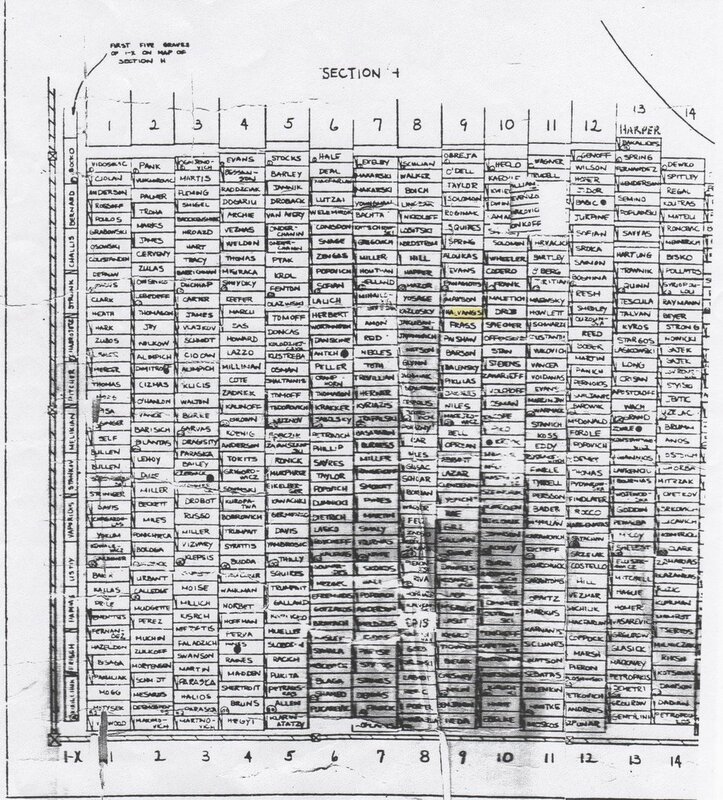 Here is a detailed map of section 15 where Maria is buried (section 15, lot 239A, grave5). To see all the memorials I've created (for these and other family members) you can go to my Find a Grave Memorial page. To see other videos check out The Psychogenealogist YouTube channel. This is the 26th of 52 weekly posts planned for 2018. It was inspired by the #52Ancestors writing challenge issued by professional genealogist, Amy Crow Johnson. The challenge: once a week, for all 52 weeks of the year, write about a relative in your family tree.